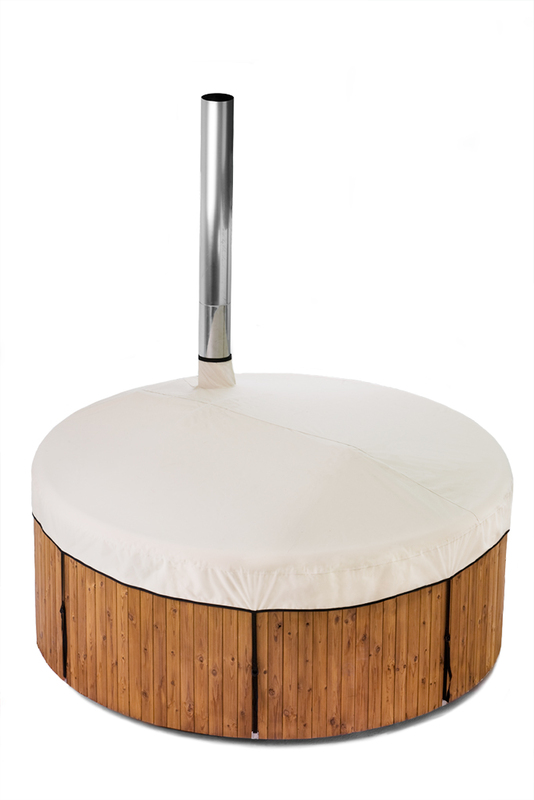 Like our hot tubs, all accessories include free shipping throughout UK Mainland. Give your hot tub a beautiful bluish hue with this LED light inside a stainless steel socket. Delivered fully installed when ordered with one of our hot tubs. 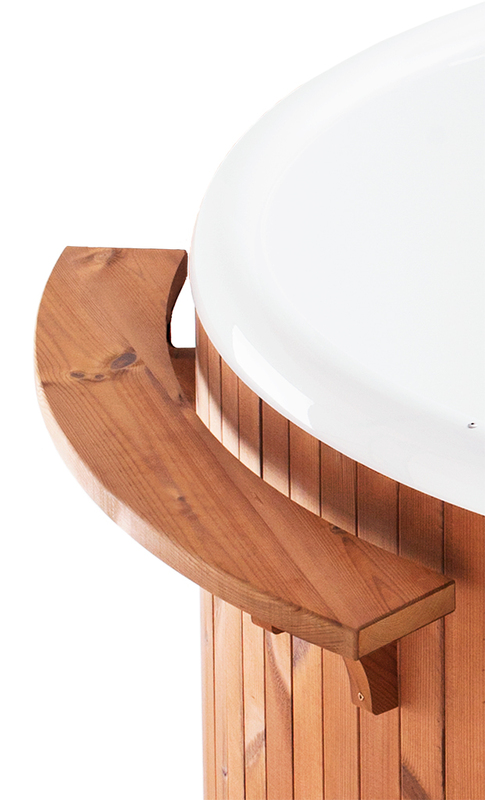 A wooden side table that sits on the edge of the hot tub. An ideal surface to set down drinks or candles. 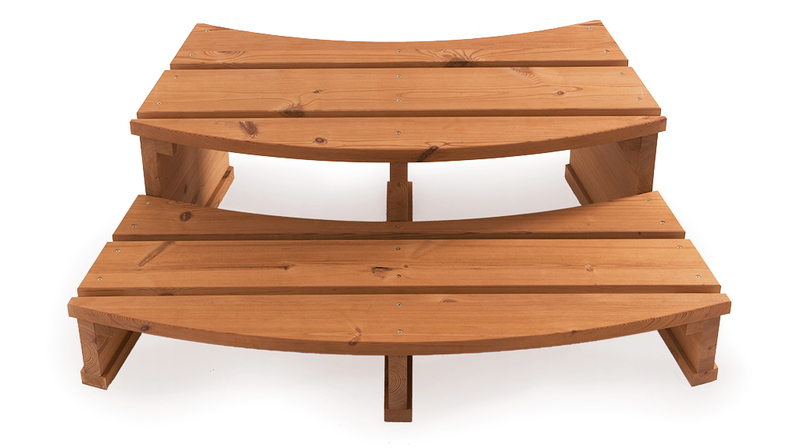 The side table is made from heat-treated wood. The bubble system consists of 6 hot air jets with an on/off switch in the hot tub. 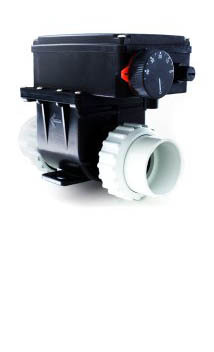 The system comes with a conventional 230 V plug. Fully installed in factory, cannot be ordered afterwards. Step into your hot tub with ease. Produced with our red-brown heat-treated wood, the same material used for the paneling of the Panel. Elegantly adjusted to the rounded shape of the hot tub. A longer flue improves the effectiveness of the stove and reduces heating time. Made of polished stainless steel. Note that hot tubs are delivered with a standard flue length of 2 meters. 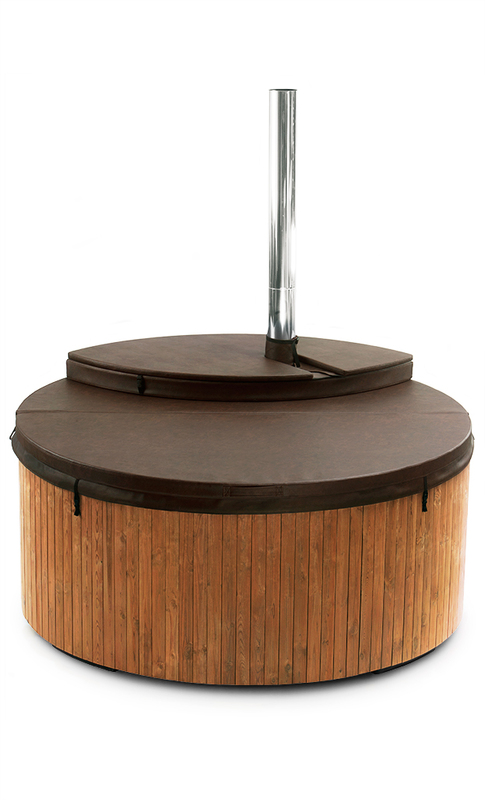 A luxurious insulated lid to protect your Panel or Terrass hot tub from dirt and precipitation. In winter, the lid reduces heating times substantially. A separate section on the stove can be removed when heating, while the main lid remains on the bathing area. 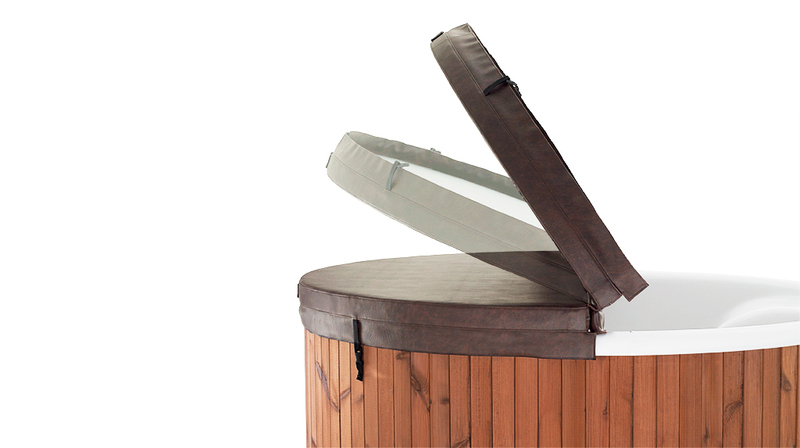 Made of strong sand-coloured canvas, this stitched cover fits perfectly over the Panel hot tub. It prevents dirt and precipitation from accumulating. A telescopic pole in the center ensures optimal water outflow. 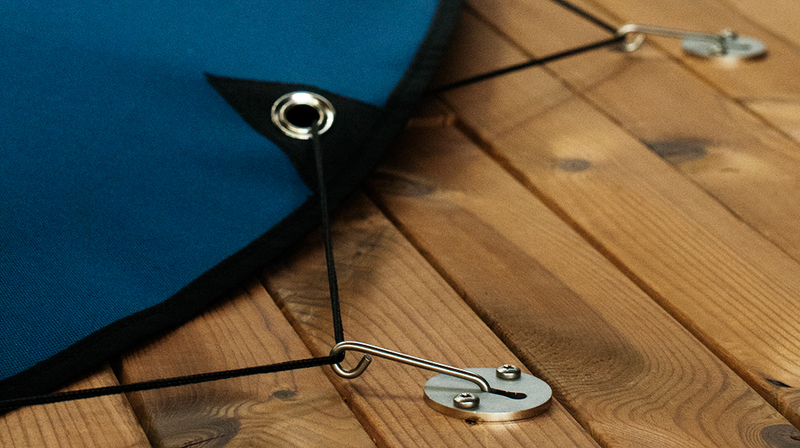 Made of strong navy-blue canvas, this stitched cover fits perfectly over the Terrass hot tub. It prevents dirt and precipitation from accumulating. A telescopic pole in the center ensures optimal water outflow. A luxurious insulated lid for the Regal model. It is made of marine-grade vinyl, water resistant foam insulation and reinforced with a steel frame. Foldable in the center for ease of use. When heating, the lid can remain on the hot tub which considerably reduces heating time in winter. 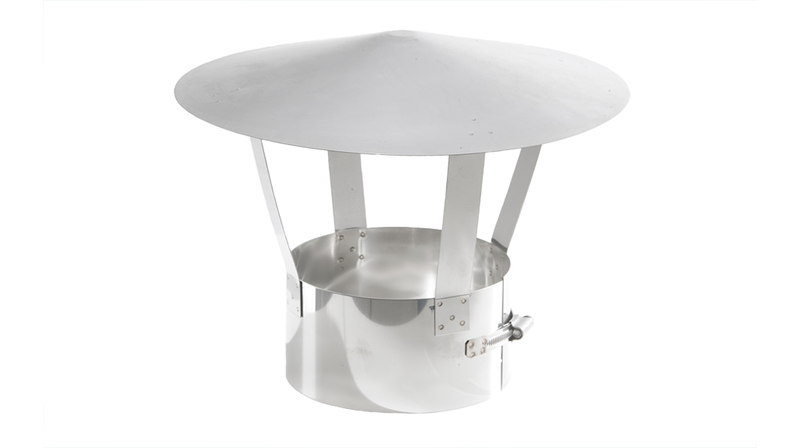 An elegant rain cowl that prevents rain and snow from falling into the flue. 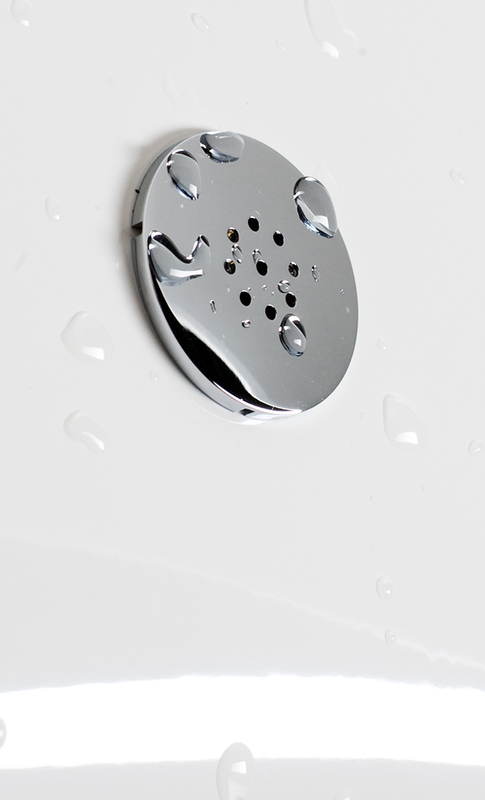 Made of stainless steel and fits all hot tub models. 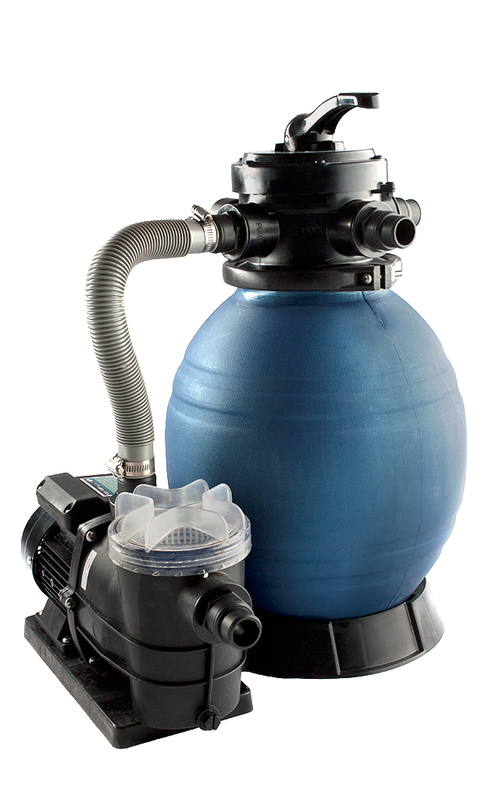 The filtration system is for those who would like to reuse the water in a hot tub for a longer period of time. 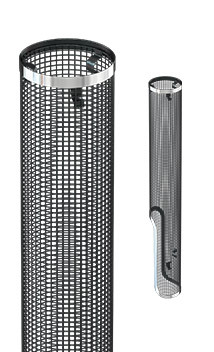 The filtration system should be ordered with the connection kit accessory and must be used in combination with an antibacterial and an anti-algae (e.g chlorine). 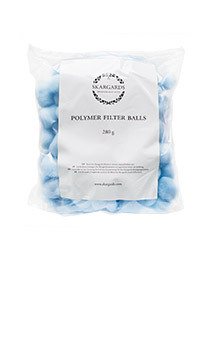 This innovative filtration material is used in combination with the Skargards filtration system. 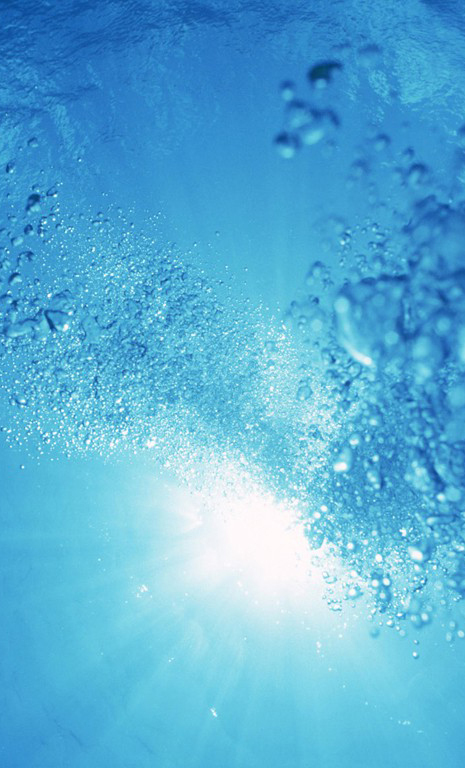 Particles as small as 3 micrometers are filtered for optimal water clarity. At subzero temperatures, the water heater prevents ice from forming in the filtration cycle. It can also be used to preheat the bathing water before firing up the stove to reduce the heating time with wood. Please note that the heater cannot replace the wood stove to reach bathing temperature. 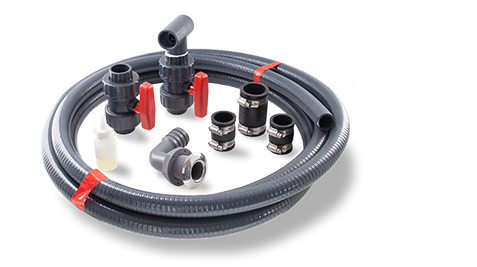 The package contains a 10-meter winter-resistant hose, PVC glue, connections to the hot tub and all the essential couplings. An elegant solution without any loose hoses over the edge of the hot tub. All connections are delivered fully installed when ordered with one of our hot tubs. If needed, additional hose length can be purchased by the meter. 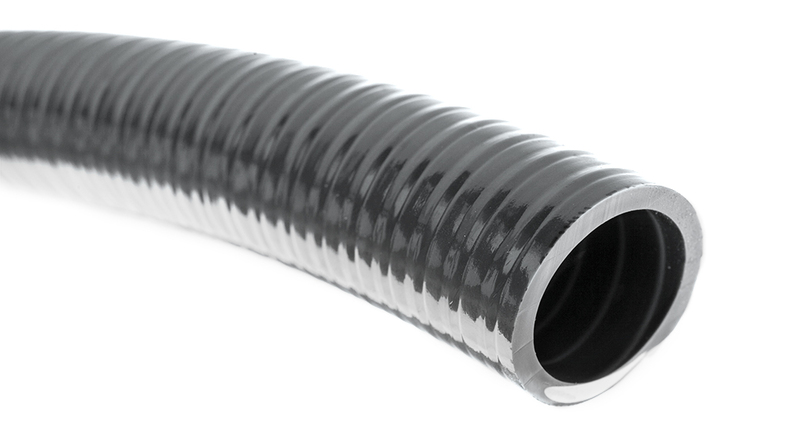 Sturdy winter-resistant hose for our hot tubs. Add the item and then go to your cart to indicate the desired length. Minimum length of 10 meters per order. 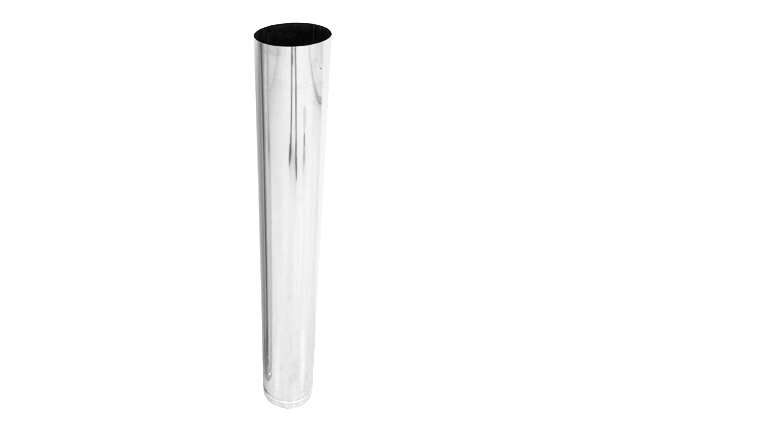 For peace of mind, this elegant guard can be added to the Regal flue pipe. The protective surface ensures utmost safety when in and around the hot tub. Appropriate for treating the wooden stove fence. Penetrates deep into the wood and prevents the formation of cracks. Also acts as UV protection to preserve the colour. Can also be applied on the wooden shelf. One half-liter is sufficient for several treatments of the wooden stove fence.